Location might be an issue if we were competing in the Big Ten, but looking at what schools are left in the MVC, I'm not sure there is a much better location. Within 3 hours of Indianapolis, Chicago, and St. Louis. If ISU wants to move up, they need to win like Wichita or Creighton. ISU is set up now to be the next Wichita or Creighton and dominate the MVC in basketball, but so far it hasn't happened. Agree generally speaking ISU geography is decent given the lack of alternative FBS programs in Illinois ...x the big ten. NIU gets positive press for just that reason otherwise not a whole lot going on in the NIU campus. Loyola is better positioned for MVC success, for many reasons, now that they have leadership that Is committed and is putting money towards their b-ball program, IMO Hopefully their rise is good for the MVC and all of its members too...the problem is they want to and will move on if they are successful over the next 5 to 10 years and an opportunity arise. (A10?) For all the positive reasons that Loyola was a good add to the MVC are the same reasons (academic reputation, university profile, LOCATION/LOCATION/LOCATION, , size of university, financial strength of university...etc ) not to add a sh#tbag school like Murray State, IMO. As an aside ...“Moving up”, Rico? 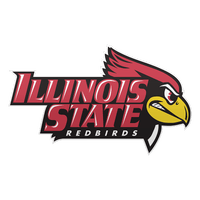 ISU not going anywhere up with FCS football. No place to go up with current ISU athletic platform and college football structure That is a whole long discussion and a part that concerns me for ISU in the future...meaning even if ISU wanted to move up they have work (structurally and financially) to do before being able. I can partially understand the FCS argument but am troubled by the lack of readiness for any positive future alternatives for ISU athletics if a positive alternative were to be presented ISU has outgrown the MVC in certain ways but MUST remain as there is no alternative. All types of thoughts that 2023 or 24 may lead to a new round of conference realignment/shuffling ... if it happens will ISU be a part of it? Football is heading towards trouble at FCS. If they don't get an indoor facility they are going to be mediocre, unless Spack can keep pulling rabbits out of his hat. There is an argument on both sides of FCS/FBS football helping or hurting basketball. However, I know we have no chance of ever raising enough money to improve seating capacity, provide more scholarships, cost of attendance, training table, indoor facility within the next 10-20 years (probably ever) to move. [However, I know we have no chance of ever raising enough money to improve seating capacity, provide more scholarships, cost of attendance, training table, indoor facility within the next 10-20 years (probably ever) to move. You do? Interesting..... With that mindset, you could work in Illinois State athletics administration. Lyons - I honestly know enough about how the University works (I am no insider) that it’s hard to lay a lot of the lack of progress at Larry’s feet. The University has a strong anti sports culture on the academic side of things. Bowman had a hell of fight against those who even today would rather use the money to buy hard cover books than invest in sports. Bowman came from the academic side and knew how to speak to those who resisted progress. You see, the academic side doesn’t realize that a top sports program can bring tons of money to the University. It’s true many big name schools are mis-managed on the sports front scaring many non business minded academics, but it’s been a fight. ISU sports is in pretty damn good financial shape given the limited funding and decent, but not lucrative donor base. Hell, Bowman had to sell the football stadium as a gate way to the campus vs building a stadium that was 40 years past due. So in assessing Larry, you need to understand the cards he is dealt. We had a great AD in Zenger at least in terms of vision and influence with Bowman’s help, but over the 40+ years I have been watching the sports, Larry is probably the 2nd best AD ISU has had in that time span. As for the HCDMs contract, all D1 HC contracts are seemingly one sided, they have to be as it’s an industry with no job security which is one sided the other way. Which brings us to HCDM. Fix the frickin blown leads, play better defense, get the ball inside when you need a bucket, constantly recruit a strong leader PG who makes even one better. This strong leader PG can solve many of these issues. So Dan is likeable. He has a passion for ISU which some others didn’t. The frustrating thing is that Dan was a high level student - smart guy, yet he hasn’t learned from his mistakes as a coach - at least not fast enough. We have to fill the gaps and win. The Valley is open for a new leadership program and if we don’t win and take the leadership role in the MVC now, it will be another 20 years because winning creates momentum and if someone else grabs it before we do, it’s going to be a lot of grumpyness for all going forward. I think the damn guy can get done if he just can solve a few re-occurring themes. Yeah we need some breaks, have some decent luck on our side for awhile, but Dan needs to see why he has these re-occurring problems that are frustrating us all and then just fix them. If he doesn’t change, then we will be a mid Pack irrelevant program. That is unacceptable. I am going to criticize him because I am watching the same crap on blown leads as was when he first arrived. I will stand by him in hopes he figures it out soon. Go watch some old Donewald film, that guy could lock down a lead and knew how to get a bucket when we needed it - not to mention a suffocating defense. It can be done and it’s not just bad luck on this stuff. I want Dan to be successful and be the Mark Few of the Valley, but some things have to improve. I could (maybe) understated the sentiments of the academics IF we were trending upward. However, the fact of the matter is that academics have slipped as well, maybe more than the hoops team. Sad all around. Not saying you’re wrong, but would to see some data to back up this claim. In 2017, US News had ISU ranked #152. In 2019, they have us ranked 171. If I know that report, it’s a cost versus GPA type of value analysis. The problem isn’t that the academic scores are going down as much as the cost is going up as Illinois is broke and can’t provide ISU the funding other states get, this tuition has gone up disproportionately versus other states. Check out Us News world rankings for universities over the past 5 years. .... not good news for ISU academic ranking. About 5 years ago ISU was ranked in the 140s. My biggest criticism of HCDM is taking the foot off the gas too soon and not finishing the final 8 minutes or so with the same offensive mindset that built the lead.......playing not to lose is causing losses. If we can't nurse a 10 point lead to the finish line with 1:58 to play (at Valpo), we shouldn't be comfortable with ANY lead that we have built with more time than that remaining. If u have a 10 point lead with 45 seconds left, maybe THEN u can play against the clock instead of the opponent. As others have mentioned, our record and conference standing would look much sweeter but for two midcourt bank shots. Also, I realize that "ifs" are for losers, but Dan is two one point games away from having two Dances on his resume'.........OT losses in Valley title games versus Creighton and UNI. By definition, one point more for us or less for them in regulation puts us in the NCAA Tournament those two years. Dan is not moving up to a higher level, IMO, until he puts together 2 or 3 seasons like 2016-17, at least one of which includes an NCAA berth. I doubt that we can get rid of him soon, because ISU Athletics does not have the coin to buy him out and still have enough in the cash register to attract a coach that most on here, or in the ISU fan base generally, would be enthused about. UNI was a MULLER COLLAPSE like many we have seen in his tenure. I think I could have coached the 2nd half vs. UNI and the outcome could not have been any worse. Maybe we could give this topic a rest until after the season is over! I don't mind being corrected........actually, I kinda miss it since my divorce. Unless someone who is an up-and-coming superstar who is willing to work for ok money, firing Muller would be idiotic. And good luck identifying that superstar. I love my school. I think we all do. I don't pay attention to rankings and stats. Good golly it's time consuming enough to read this board. So I'm only going by my gut. Things don't seem the same after Bowman and Zengler left. I thought they were both top notch. There was an excitement and buzz about ISU that seems to be missing. So to me it's no surprise we've slipped in some rankings. Muller is not a great coach, but he’s much better than some on here think. I’m not sure where or when it will all come together for him, but I do believe he will become an excellent coach. I hope it happens while he’s in Normal. Or we could keep doing the same thing over and over and expect a different outcome. Isn’t that the definition of insanity? We have to be the easiest team in the country to game plan for. Overreaction. Coach Dan is swell. Let’s sign him to a longer extension with a nice big hefty raise. Then we can offer Lyons a life time contract and give him a big juicy raise. Better keep it down. The Kool Aid Krew is about to get home and tell you how great the athletic department is!! Look our women’s team is in 5th!!! Men’s B-ball isn’t last!!! Softball hasn’t won a game (maybe they won’t today).